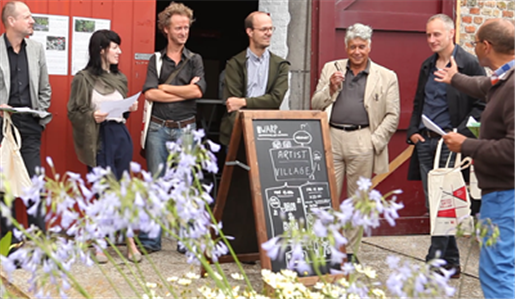 From 10 till 16 August 2015 WARP organised an international Artist Village in Bruges, in de context of the Triennial for Art and Architecture. During this week WARP provides emerging artists with feedback and stimulating input through personal interviews with professionals. The starting point for such conversations is the artist’s portfolio. In addition to meeting national and foreign curators, critics, experienced artists, choreographers, psychoanalysts and the like, meetings between artists are at least as important for an artist’s professional development. ReactiON OF Nicolas Grenier (1982, Canada), participating artist at the Triennial of Bruges en participant at the Artist Village in 2013 in C-mine, Genk. ‘Warp Artist Village was a great experience on many different levels. In just one week I had the chance to meet with a great number of critics, curators, artists, gallerists and other professionals from the art world, in addition to fellow artists participating in the residency. Now, two years after the residency, I’m still in contact with many of the people I met there. 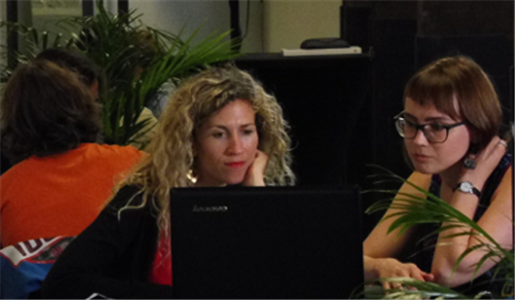 The way the residency is organized creates countless opportunities to get precious feedback from a variety of practitioners and theoreticians, and some meetings I had led to actual projects, including my participation in the Bruges Triennale.